AddressThe address for this sale in Highland Park, IL 60035 will be available after 12:15pm on Thursday, May 2nd, 2019. 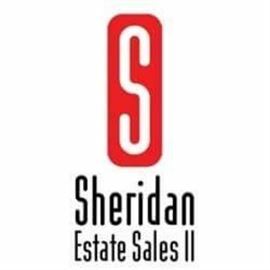 Sheridan Estate Sales II accepts Cash, Debit/Credit Cards, and Mobile Pay with no minimum. Sheridan II does not guarantee the authenticity or working order of any piece of merchandise we sell. No refunds or exchanges. Everything is sold as is. Please bring your own movers and moving equipment (dolly, blankets, tape, etc) for your heavy purchases. Sheridan II only posts enough pictures and a list to give you a flavor of our sale. We believe in the hunt! Except for Buy it Now items we do not give out sales prices before the sale. In most of our sales we offer the furniture as "But it now". We are always open to offers on merchandise. Once you have been informed that your offer on the merchandise has been accepted we will invoice you on our secure register system by email. You must pay this invoice immediately. We do not hold items. If you do not pay the invoice immediately, the merchandise could be sold to another customer. Sheridan II honors a single WATCHED list. Numbers are given out 30 minutes prior to the sale start each day. You must be present to receive a number. 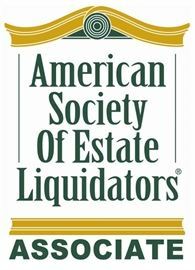 If you are looking for a fantastic professional partner to conduct an estate sale please get in contact with us. We are recognized as one of the best North Shore estate sale companies. You can reach us by phone at 224.763.4444, or send an email to sheridan2inc@gmail.com. Sheridan Estate Sales II is in Highland Park! Sheridan Estate Sales II, the best estate sale company ever, is back in Highland Park. We are gracious to present to you this wonderful two story home.